Hot dogs like these are popping up all over the place: on menus, in restaurants, and food trucks. 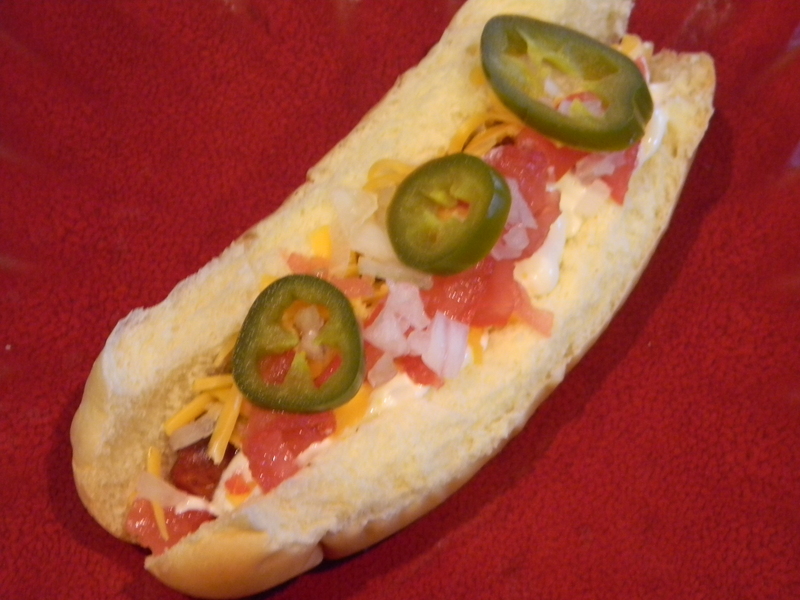 I am not normally a huge hot dog fan, but these are quite tasty with the addition of the bacon. Everything’s better with bacon. 1.) 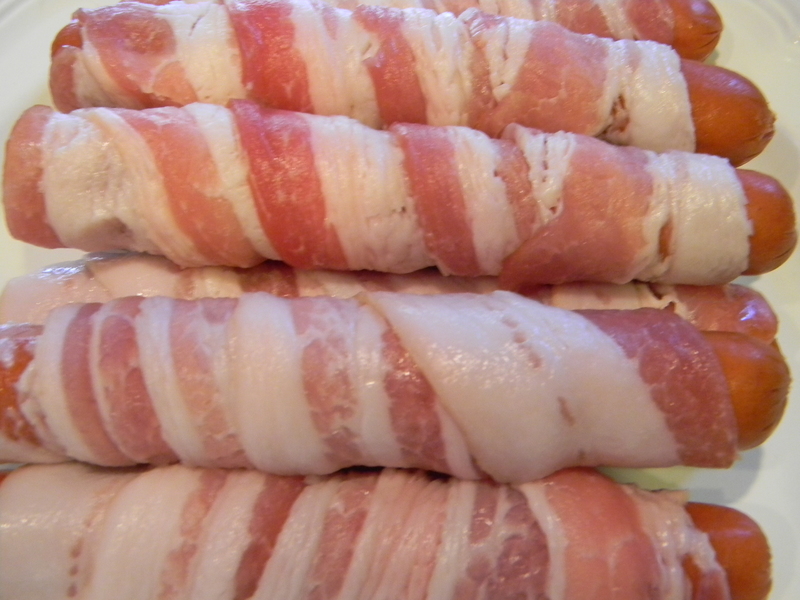 Wrap each hot dog with one slice of bacon. In a large saute pan, cook hot dogs until browned on each side and bacon is cooked, about 6 minutes total. 2.) 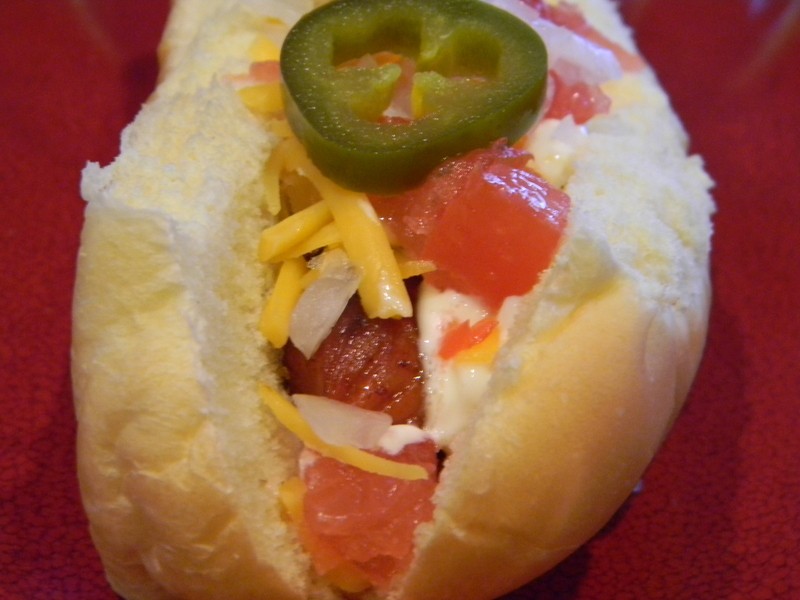 Place a hot dog in a bun, top with mayonnaise, tomato, shredded cheese, onions, and jalapeno slices.